Dermaplaning was first introduced into dermatology practices in the 1990’s as an innovative way to exfoliate the facial skin either on its own or in combination with a peeling solution like glycolic acid. The treatment is quick, painless and safe, typically taking 30 minutes or less. Most skin types can benefit from the procedure done with few exceptions. If you looking to give you skin a boost with instant gratification, dermaplaning is the treatment for you. Dermaplaning is mechanical exfoliation by means of using a “tool” that removes dead skin and vellus hair. The hair removed is just a side benefit; the main purpose is exfoliating dead skin cells. The technique can also be used as a precursor to other things like a glycolic acid or customized products. The procedure starts at the forehead and continues down each side of the face, including around the mouth and chin. You’ll find the skin is pulled taunt to create a firm surface for the tool to glide back and forth. It sort of feels like a slight scratching sensation, but not painful (like shaving your legs). The neck is not included because the skin’s structure is different and more difficult to hold taunt. The other way to incorporate dermaplaning is it’s a great way to prep the skin prior to other procedures such as Fraxel Facial or fortified Fraxel Facial. Why do I need Dermaplaning? Does your skin look dry, dull? Home skincare products just sitting on your skin? The benefits of exfoliation done this way will help to quickly remove the build- up of dead skin cells without waiting for products to work or irritate with granular scrubs. Your skin will look healthy, smooth and you’ll get more from your home care products because they’ll be able to penetrate better. The sensation feels somewhat like a scratching sensation, but it’s not painful (similar to shaving your legs). Proper technique is important and once you’re done, the skin will feel very clean and smooth. One of the reasons for its popularity is that make-up glides on after and your skin has a “dermaplane glow”. Yes, it’s very safe. This can be a concern for some patients because the instrument used is sharp. 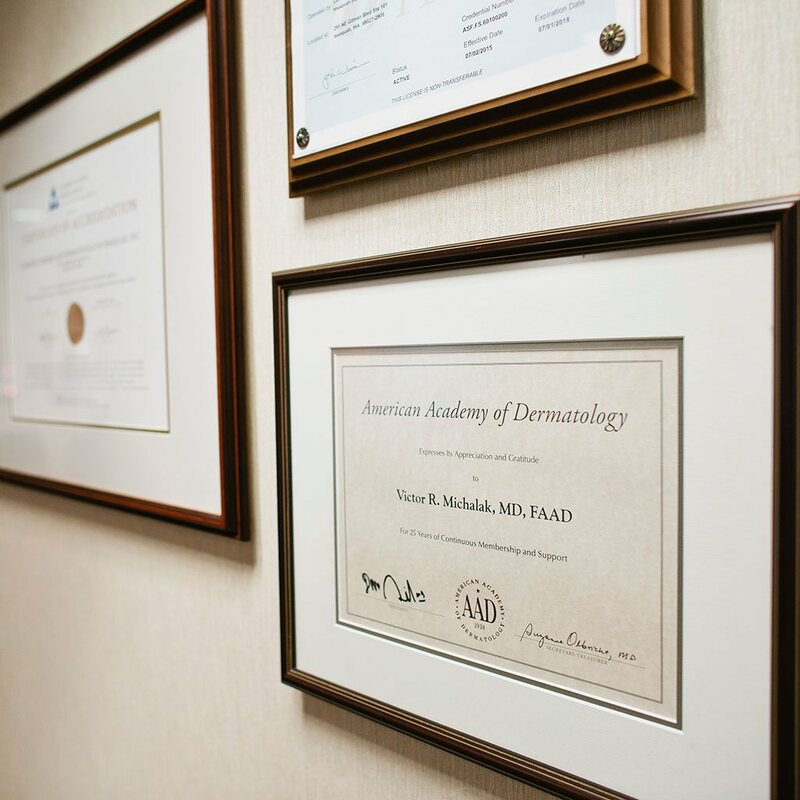 Our master aesthetician was professionally trained on how to do the procedure. Another popular myth is because your hair is removed patients think their hair will return darker. This is simply not true. Patients are always evaluated prior to make sure they are a good candidate prior to having the procedure done. Master Aesthetician Leslie Carney performs these treatments during normal business hours Monday, Tuesday and Wednesdays.